Darlene McCormick is an enthusiast! 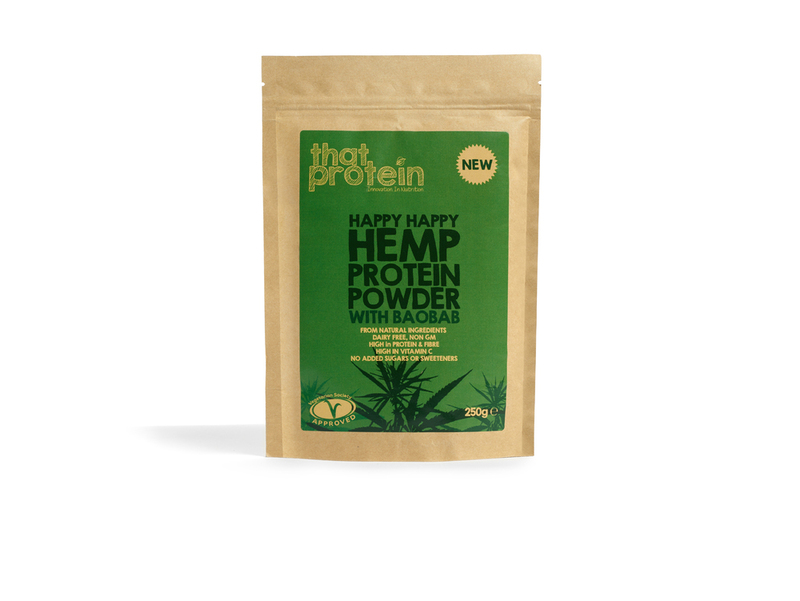 She wants to provide tasty, vegan, all encompassing organic protein infused with superfoods, whilst ensuring that she doesn't budge on keeping the processes, ingredients and aims of the company ethical. Isn't that inspiring? So I'll leave you with Darlene who will tell you all about her business, That Protein, how it came about, and the effect of not her unwillingness to compromise on certain things. What does That Protein specialise in selling? We sell Plant-based Organic Protein Superfood fusions. Where is That Protein based? We are based in Ireland and also have a base in the UK. Through our website, we can sell anywhere in the world! In addition to this, our products are on sale in Planet Organic and in independent health food stores in UK and Ireland. What inspired you to create a business that solely focuses on vegan foods with a high protein content? I follow a plant-based diet and also an organic one. I realised that there was no organic plant proteins with anything that was special about them on sale. I had a eureka moment when I was whisking up my morning smoothie, which was getting more and more laborious; adding this superfood and that protein! That's how That Protein was born and I'm thankful for it! 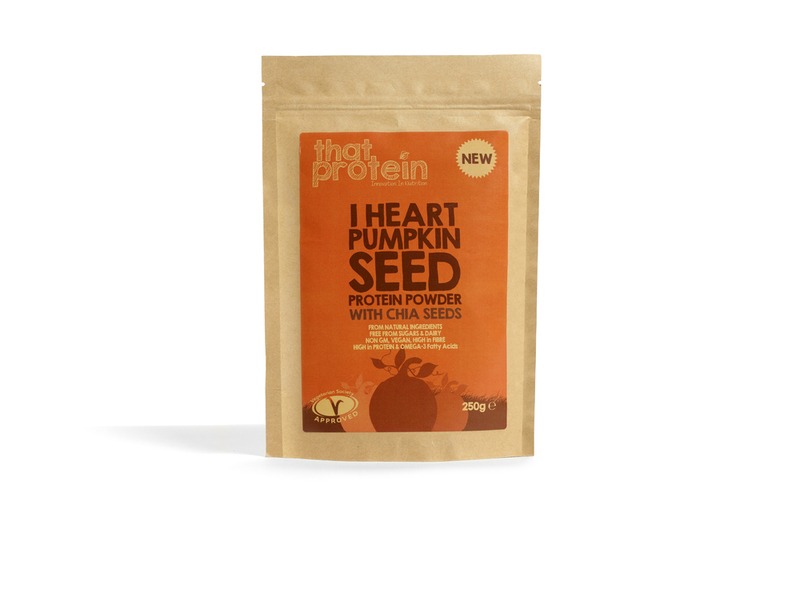 The idea came to me that I could fuse proteins and superfoods to get a better nutritional profile, but also look for new and exciting sources of protein that weren't out there in any mainstream way - like our Organic Pumpkin Seed Protein. I also wanted to avoid heat processing it by keeping it pure and real. So I worked on a way to keep it as a real food in a concentrated form. I wanted to create a pure range, free from animal products and chemicals, and I wanted it to be a nutrition-best with a focus on protein. I know that the vegan diet can easily deliver the required protein per day (0.8g per kg bodyweight) and indeed that many people following a vegan diet don’t think proteins are “for them” but I really want to tell them they are, and that having cold pressed protein powders with added superfoods is a fantastic way to ensure that their diet is topped up with protein. I also wanted it to be easy to use. They are also complete proteins which I think is useful for anyone following a any diet. Our products are not supplements although it could be an easy mistake to make. Rather, they are pure and cold pressed into concentrated high protein nutrition. I am a great lover of smoothies and shakes as a fast and convenient way to “eat” your nutrients but I don't want heat processed animal based proteins, which is what is commonly available. I am of course inspired primarily by my values of compassion for our fellow animals and the environment and sharing this with as many people as possible - in fact it is this that motivates me every day. How easy is it for That Protein to source cruelty free ingredients for your products? It is fairly easy but the challenge is sourcing reasonably priced items. This is particular difficult because we will only use Organic sources, to ensure the purest nutrition for our bodies. Thankfully, I now have a supply chain in place. Do these ingredients effect the outcome in comparison with non plant-based foods? There is a misconception that plant proteins are not “complete” and do not contain all the essential amino acids . This is partially true and some should be combined with others. The ones we use however, are complete proteins and Pumpkin Seed Protein is a excellent source of amino acids. These protein based products are, in my opinion, superior to basic dairy proteins in that they are also high in fibre and other micro-nutrients that dairy proteins don't have, They are also free from chemical pesticides and not heated over 42 degrees as whey proteins are. So far from being in any way “inferior” they are in many ways superior! For someone who hasn't tasted any of your range before and is indecisive about what to buy; is there a particularly popular one you can name? The most popular with women is our Blissful Brown Rice & Raw Cacao Protein Superfood. The raw cacao makes it feel like an indulgent treat and a great alternative to a dairy free chocolate bar on those days when you get a craving! It is also a great base for making protein snacks - there are some great ones on our website. Our male customer base tends to like the Happy Happy Hemp and Baobab more, which is my favourite fusion. I love the fact there are such high levels of vitamin C in the mix, so much so that we can say that the product reduces tiredness and fatigue and supports the immune system among other things. Is That Protein owned by, or in partnership with, another company that tests on animals or sells non-vegan products? Our partners are all plant-based which is great! Before I launched that protein I ran a very busy PR firm in Ireland. I had been thinking about a change of lifestyle for a few years as my father had died and it made me re-evaluate my priorities as these things tend to. However having built up a successful firm and with responsibilities to my staff and clients, walking away wasn’t really a viable option. Luckily I was approached by 3 different PR companies who wanted to buy my agency and so I sold it. The money from the sale enabled me to start That Protein! I retrained as a clinical nutritionist and set about creating the range and establishing the supply chain. It was MUCH harder than I thought it would be and a real challenge. The biggest problem I faced was that I was uncompromising. Unfortunately starting out like that meant that it was hard to keep costs down and so we had to work really hard to get all the aspects right to make it a compelling brand for the customers. The quality we offer is at an unrivalled price. In fact it is less than half the price of similar brands! We are there now, and the fact it is selling so well in very encouraging as in the early days it was very hard to get buyers to respond. I think you have to be there for a while and demonstrate you are here to stay before doors open and any momentum begins. Those early days can be pretty demoralising though! It was my desire to spread the plant-based living message that kept me going! I'd like to say to anyone reading this - if you haven’t yet tried a high protein nutrition source like this give it a go! What is your vision for the future of That Protein? My vision is to encourage more people to choose the plant-based option if not exclusively, then more often, and to choose it not only because it is plant-based, but because it is WONDERFUL!! I will bring out more products whilst staying true to our values. I will also keep the dialogue going about nutrition and our health. It can be utterly confusion for people, and I want to remove that and make healthy eating easy and simple. Food is a joy and the way we eat is changing. We want to offer easy to prepare, nutritious, protein based options, that are easily incorporated into our busy lives, convenient, delicious and make you feel great! If you want to try some of the range from That Protein or use this as an opportunity to stock up, enter PLANTSHIFT when you check out and you'll receive £6, which includes shipping. Is shopping as a vegan really that difficult?